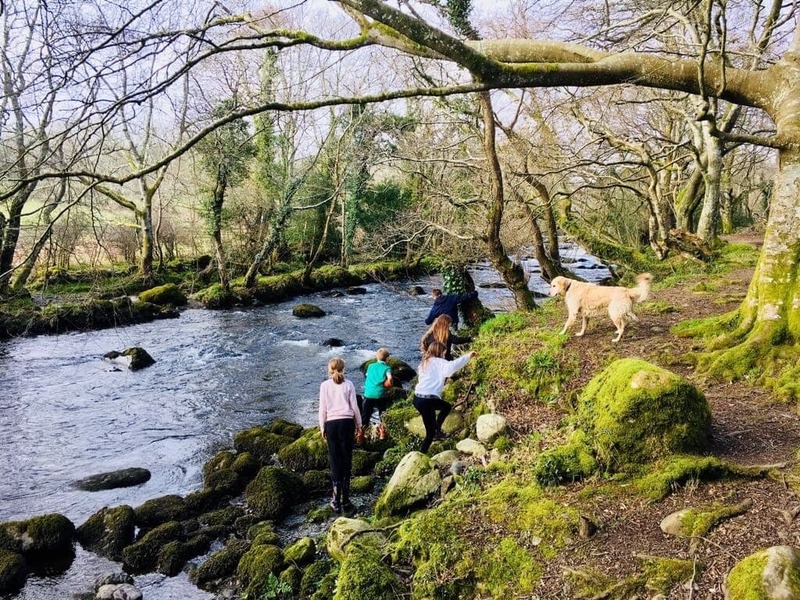 We spent Easter at the LLanystumdwy Camping and Caravanning Club Site in our Elddis Autoquest motorhome, with our three children (aged,7, 10 and 11) and our dog. 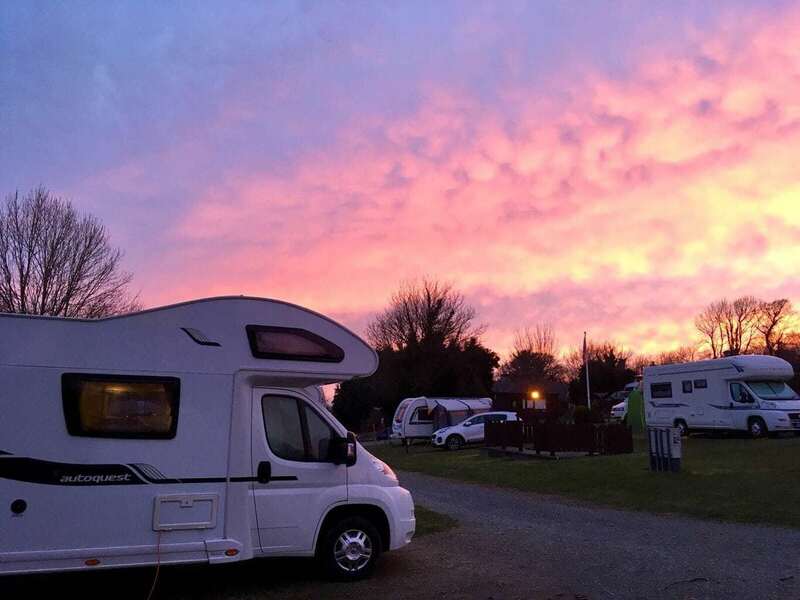 We were joined by 2 other families – one with a motorhome and one who were braving canvas for the weekend. The site is located on the Lleyn Peninsula in North Wales, a five minute drive from Criccieth. It is a short walk along quiet country lanes to the village of Llanystumdwy, which has one pub and a museum dedicated to Lloyd George who lived in the village until the age of 16. The site has 70 pitches, most of which are sloping. There are no real views to be had from the site, unlike other sites in the area. The site is located between two roads and there was noticeable noise from the traffic. We didn’t really notice it when in the motorhome but our friends in the tent found it disturbed them at night. The facilities are quite basic – there are clean and tidy showers and toilets, a washing machine and dryer (coin operated) and a small shop. On the afternoon we arrived we had a nice walk from the site along the river into LLanystumdwy, ending up at the charming, 200 year old Tafarn Y Plu pub in LLanystumdwy. The pub was tiny, opened at 6pm and did not take bookings for meals so wasn’t ideal for a party of 12! But a good stop for a pint at the end of a walk (even if we did have to take it in turns to sit on the two chairs outside). 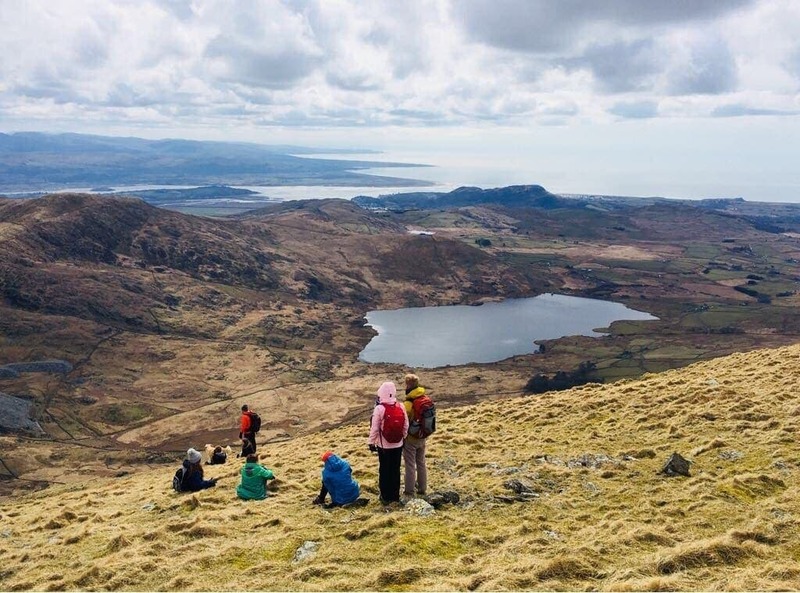 The site is a great base from which to explore the Lleyn Peninsula and Snowdonia. We spent a morning walking from Porthmadog to Portmeirion, passing the steam railway station in Porthmadog. The Ffestiniog Railway takes you on a 13 1/2-mile journey from the harbour in Porthmadog to the slate-quarrying town of Blaenau Ffestiniog. It’s a must if steam trains are your thing. Portmeirion (set of 60s TV series ‘The Prisoner’) overlooks the Dywryd Estuary, and was built in the 1920s by a visionary architect in the style of an Italian village. It’s an unusual and enchanting place and we enjoyed wandering around the village and then down on to the beach. There are lots of walks to be done from the village and we could have spent a lot longer exploring, but no dogs are allowed in the village, so we couldn’t spend more than a couple of hours there sadly. 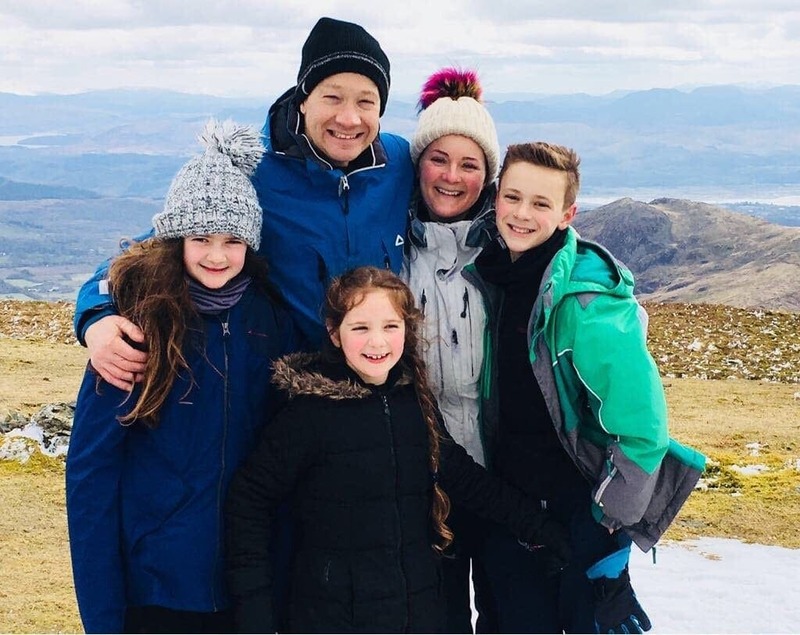 On Easter Sunday, spring finally made an appearance and we decided it was time to conquer one of Snowdonia’s mountains. We started from the scenic village of Beddgelert which was around a half hour drive. We found it easy to park the motorhome in the village car park. From there we climbed Moel Hebog (standing at 2569 feet) which took us around 5 and a half hours. A great climb (not that the kids would say that!) and we were rewarded with superb 360 views of snow-capped Snowdon and its surrounding mountains. From the site there is a good walk to Criccieth, along the river and then the coastal path, which takes around an hour. 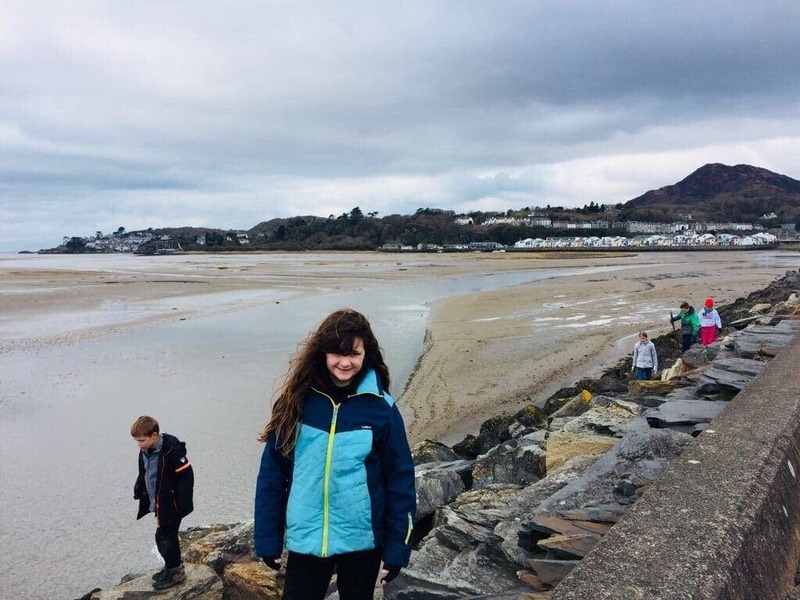 We ate a couple of times in Criccieth – once at the Lion Hotel which has good pub food and once at Cadwaladers. 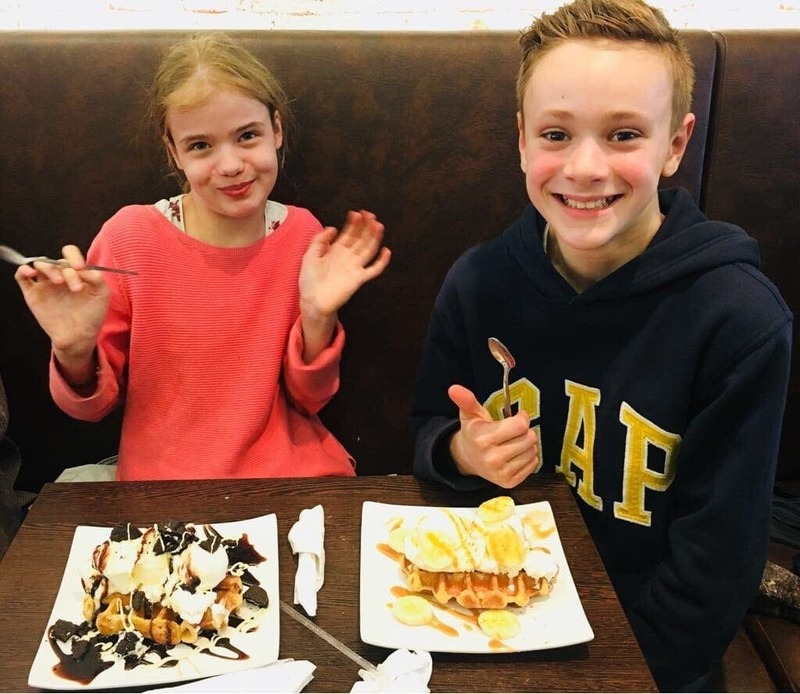 Cadwaladers is a great café which the kids absolutely loved largely due to the huge cakes, waffles and ice cream sundaes. Our daughter chose a Crème Egg Sunday, which was decorated with a whole crème egg!! We found it hard to book a party of 12 of us into a local pub, probably because it was Easter weekend and we’d left it too late – we heard good things about Dylan’s but weren’t able to get in. 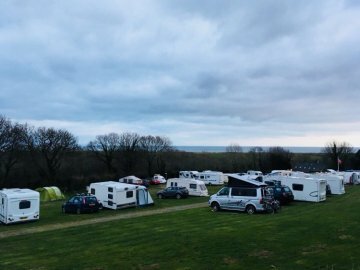 We have visited a few Camping and Caravanning Club Sites now and, although this is not our favourite site, it is a great base from which to explore a beautiful part of Wales so long as you have a car. 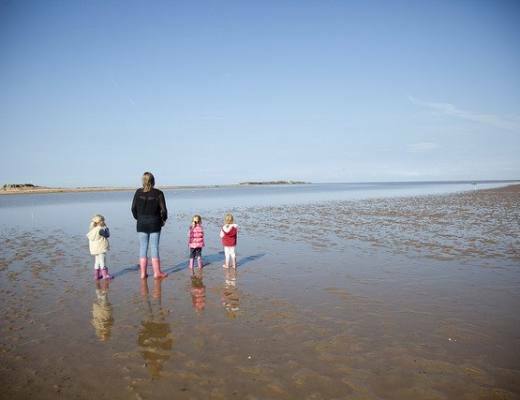 Holiday Homes with Kids – What we look for!